7" with silver injection moulded labels in plain black die-cut sleeve. 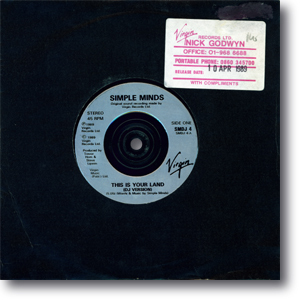 A large number of these promos were pressed so copies still turn up today. They were particularly interesting to collectors as they featured an edit of the title track. A smaller number were sent out with compliments stickers and press releases. 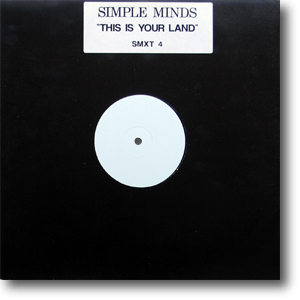 12" with white labels in a plain black die-cut sleeve with black and white sticker. 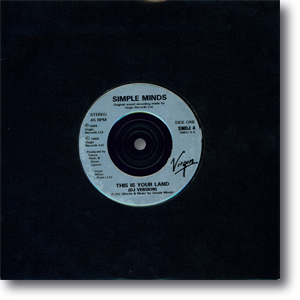 A large number of the first pressings of the commerical 12" were pressed up with white labels and housed in black die-cut sleeves with title stickers, and then sent out as promos. They were relatively common when first issued but have becoming increasingly rare. (Some sellers call them test pressings due to the white labels. They are not test pressings as a large number were made and a test pressing wouldn't have been housed in a sleeve with a sticker). CD with typed label in a plain jewelcase with a sticker. 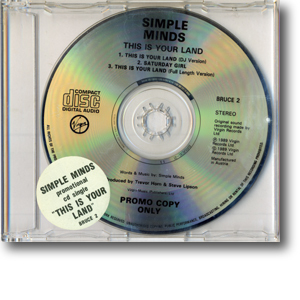 A large number of these CD promos were pressed making them relatively common today. Collectors should ensure that their copy has a sticker on the jewelcase. It was the second of a small series of promotional CDs with catalogue numbers named after their manager Bruce Findlay.